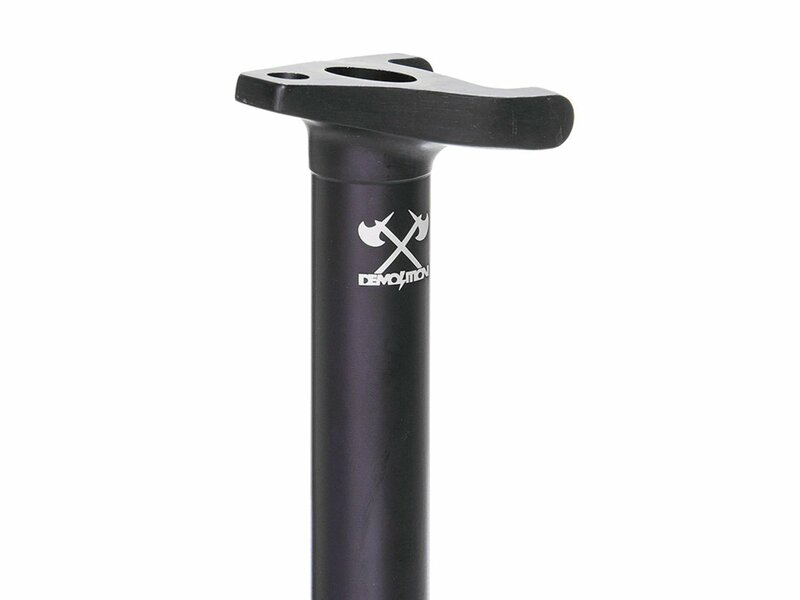 The Demolition Tripod Seat Post is made of 6061 aluminum. The Demolition Tripod Seat Post comes in 190mm length and offers you a easy downsided one-bolt installation with any Tripod seat. The Tripod system provides you two adjustable angles for your seat.